The US State Department said on August 10 that its Government approved the sale of RGM-84L Harpoon Block II Surface Launched Missiles to Thailand. 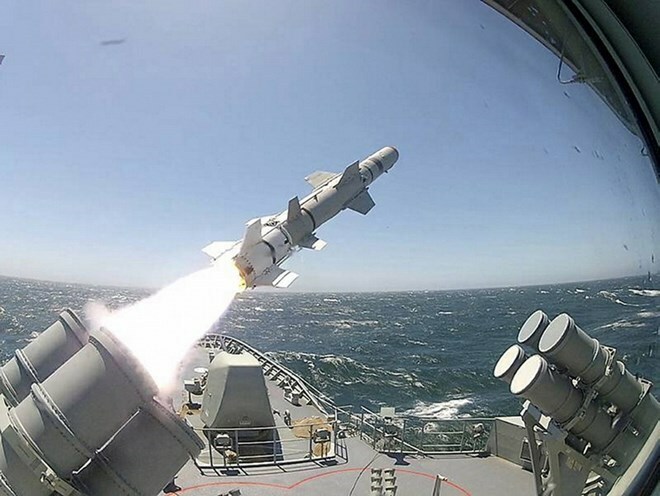 Bangkok (VNA) – The US State Department said on August 10 that its Government approved the sale of RGM-84L Harpoon Block II Surface Launched Missiles to Thailand. The Department’s release stated that it has approved the sale of numerous missiles to the Thai Government at an estimated cost of 24.9 million USD. Thailand requested the sale of up to five RGM-84L Harpoon Block II Surface Launched Missiles, one RTM-84L Harpoon Block II Exercise Missile, spare and repair parts, support and test equipment, publications and technical documentation, personnel training and training equipment. The sale came after the US Secretary of State Rex Tillerson’s visit to Thailand.